Meghan Markle and Prince Harry have taken control of their own narrative and honestly, we're loving it. Up until very recently the couple shared the Kensington Palace social media accounts with Prince William and Kate Middleton but have just gone out on their own - and the timing is very interesting. Harry and Meghan's own Instagram account @SussexRoyal went live earlier this month, quickly gaining over 4.6 million followers. Debuting the account just weeks before their baby is due (Meghan previously mentioned that they're expecting it to be late April or early May), it suggests that this is where the couple will share their baby news. The palace has confirmed that they'll be keeping the birth private so it'd make sense that social media is where any announcement will be made. They've already been posting plenty and, unlike Kate and William, they signed their first post with their own names rather than their titles. But as the Sussexes make moves to separate themselves from the Cambridges in the public eye, it seems odd they still don't have their own Twitter account. The Kensington Palace Twitter @KensingtonRoyal has been updated to reflect that it'll only provide updates on Kate and William, with a bio that reads "the official account of The Duke and Duchess of Cambridge and the Royal Foundation" and a profile photo of the Cambridge family. It was expected that Meghan and Harry would use the same handle on Twitter as on Instagram - but it's already taken. The @SussexRoyal handle on both Twitter and Instagram previously belonged to a British driving instructor called Kevin Keiley. 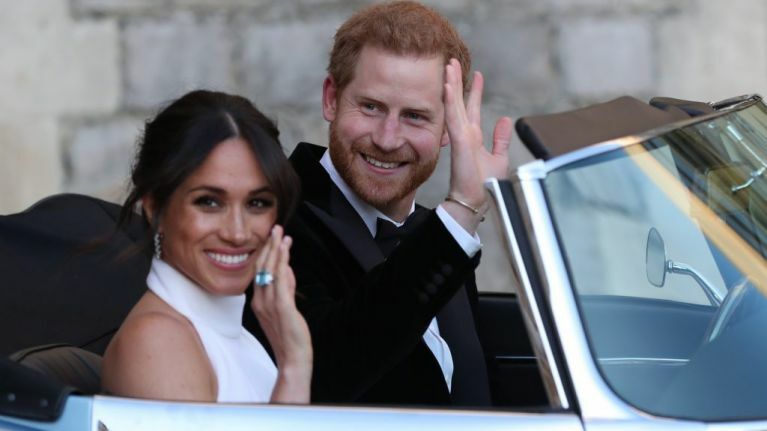 Instagram took the handle off him, saying his account hadn't been active in several years, and he said he was surprised to see the royal couple using it. Since then he's revived his Twitter account, which he hadn't used since 2013, and has been tweeting regularly - possibly so that he doesn't lose that too. It's surprising that for now, Meghan and Harry don't have their own account, given the big news they'll soon be sharing. It looks like Instagram is the only place they'll be posting - so that's where we'll be keeping an eye for baby news.